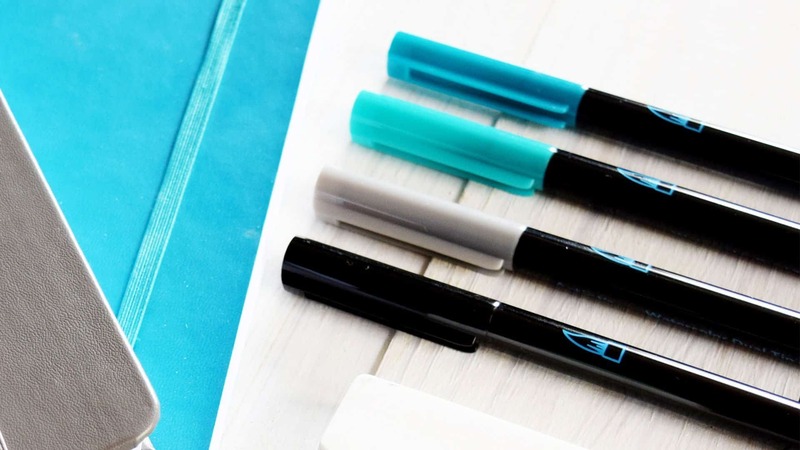 So you’ve finally made the leap and you’ve started a bullet journal, you’ve picked out the perfect bullet journal notebook, and now you’re looking for the best bullet journal pens. Which pens you want really depends on your style. I’ve broken this list of bullet journal pens down into a few different categories that will help you get started – but just remember, bullet journaling is all about you and what you love. Don’t feel like you can’t branch out! If you’re a minimalist journaler, the emphasis is on productivity, getting things done efficiently and not wasting too much time on mapping things out. You need pens that will help you get things done. Tried and true. Reliable. Not too fussy. Just enough color that it can help you create a color coding system when you need it. If you’re still figuring out what point size of pen you like to use, or you just like options (thicker for headers, thinner for itemized lists for instance) these are perfect for you. Sakura’s also a tried and true favorite for journalers. These are one of my favorite sets of pens for bullet journaling. They provide the perfect targeted wash of color to help color code your journal and add a splash of color. As part of being a no-nonsense journaler, you don’t want to let mistakes stay in your book (or worse yet have to start all over again and waste time). These Frixion pens write like your favorite pens, but they also erase! I love them. This is all about creativity and spending time on your journal. Maybe you doodle for fun, maybe its a mindfulness practice, or maybe you just can’t stand a journal that doesn’t have a little personality. You need pens that let you run wild with your imagination. Who doesn’t need a set of gel pens? They take me back to my childhood when I toted around a case of them everywhere I went. The color and texture variety of gel pens allows you a lot of room to get creative. Lighter colored gel pens will also let you doodle over darker colors or watercolors. These felt-tipped pens give you a richer option, and make perfect doodling pens. Tombow is a tried and true favorite for most bullet journalers. The brush tips let you give you the opportunity to create beautiful hand lettering. These bullet journal pens in jet black make the perfect partner to the more colorful Tombow pens. Like their colorful friends, the Fudenosuke have brush tips and are a favorite of hand-letterers. These aren’t exactly pens, but they’re water brushes that handle like pens. If you like adding a touch of watercolors to your bullet journal these brushes will help you create it. These aren’t just for mixed media as they can be great for hand-lettering too, but they make great markers for mixed media creatives. They can help you create gorgeous elements to your mixed media collages. If you want a few different kinds of pencils and pens to get you started – this kit has your back. Tim Holtz might just be the king of mixed media, and these distress crayons, much like his distress ink, create beautiful designs. They make for great layering tools that easily blend into one another.